No Martial Arts experience is needed as this is not a Martial Arts-based program. All you need is a desire to help those around you find and express their inner strength, become more confident, and be empowered to live freer lives. To find out more about the ASSERT Program, visit their HQ site at: www.YouCanBeAssertive.com and to get more information on their Instructor Programs, visit them at: www.ASSERTInstructors.com. Space for this workshop is limited, so call and reserve your spot early! The course includes the 4-Hour Beginner’s Workshop, which Certifying Instructors will plan and lead. See below for a description of the 4-Hour Course. KSA Martial Academy is offering a 4-hour ASSERT Empowerment and Self Defense workshop this coming Sunday, Aug. 21st, from 1-5:30PM. Located at 4910 Charlotte, KSA Martial Academy, or KSAMA for short, is ideally situated and uniquely qualified to provide this particular service to the area. Two of the founders of this local school are the creators of the award-winning ASSERT program, which is currently in regular use by numerous South Florida Public and Private schools, several organizations within the University of Miami, in-patient eating disorder clinics, nationally recognized at-risk and Foster Care youth groups, and countless families and corporations as a means of self-defense education, team-building, and familial and social group bonding experiences. The up-coming workshop will require pre-registration and will be taught by the creators of the program – an opportunity currently reserved for Instructors seeking certification to teach the program. The program is well known for its fun and informative curriculum, providing physical and personal skills that are immediately applicable. Potential participants are encouraged to bring family members of all ages and physical capabilities. The Miami, Florida-founded ASSERT Empowerment and Self Defense was established in 2004. 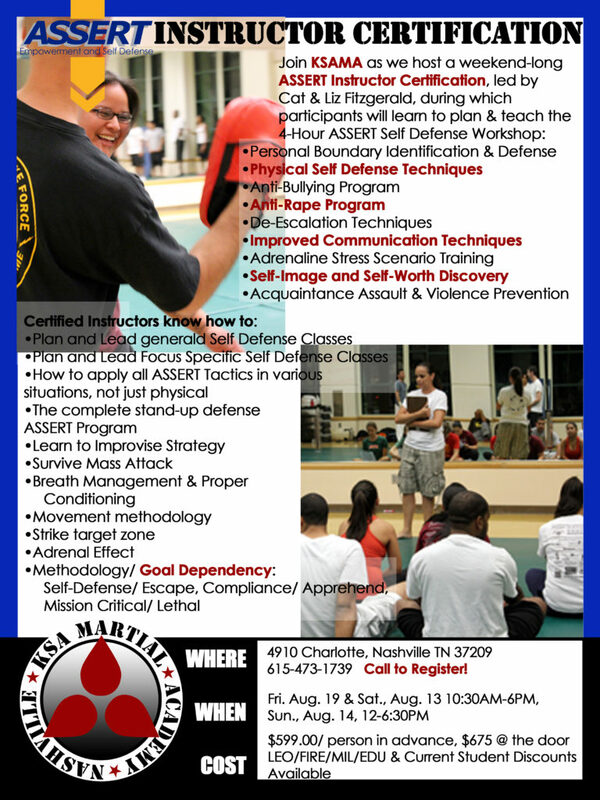 Based on crime case studies, reporting, and statistics, victim services, law enforcement training, and over 40 years of martial arts training, ASSERT offers a variety of certifications, ranging from Family and Personal Safety and Self-Empowerment to Law Enforcement and Protection Services Assault/ Defense Tactics and Program Instruction. The program’s founders have trained a wide range of students, from Elementary, Middle, and High School-aged children and families through SWAT, FBI, DEA, and top military components. For more information, please visit their official website: www.YouCanBeAssertive.com. 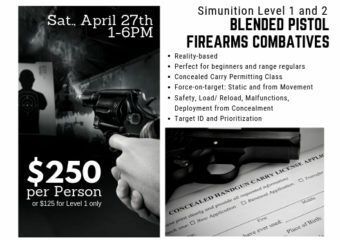 The workshop is $50 per person. Please wear comfortable clothing. Pre-Registration is strongly suggested as space is limited.